The future of Australia’s submarine and naval shipbuilding projects are at risk because of unreliable energy supply in South Australia, said Minister for Defence Industry Christoper Pyne. 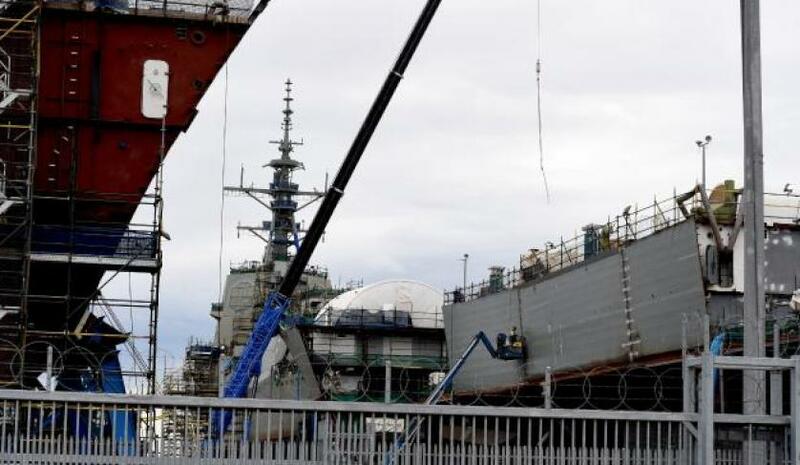 Minister Pyne told Parliament on Wednesday night that the Department of Defence has advised him separate power generation and fuel storage would need to be built at Adelaide's Osborne ship and submarine yard. Minister Pyne revealed the federal government is now spending millions of dollars in order to guarantee the supply of electricity to the shipyards, comparing the state's infrastructure to "a backpacker's hostel in a Third World country". "Defence is having to advise me that we will need to build our own supplementary power generation at the Osborne ship and submarine yards, plus the fuel storage required to run those generators," Minister Pyne told Parliament. "We cannot rely on the power supply in South Australia not to go out, putting at risk that major project employing 5,000 workers in South Australia alone." Minister Pyne said power generators with enough fuel to run for five days will be installed at Osborne as a safeguard against the possibility of the electricity failing again. Despite the trouble caused by the power blackouts, the government said it still intended to deliver 12 future submarines, nine frigates and offshore patrol vessels. Minister Pyne said the power uncertainty is due to poor energy policy in South Australia by the Labor Party. "Because of the massive, the breath-taking failure of policy in South Australia over energy and electricity supply, the supply of energy is so unreliable," Pyne said. "The massive obsession that the Labor Party has with renewable energy, rather than a common sense all-of-the-above approach to supplying energy in Australia, has meant that in South Australia, Australian taxpayers are going to have to spend millions of dollars more." South Australian Minster for Energy Tom Koutsantonis said these claims are not true and not what Koutsantonis had been told. "The managers of the common facility at Techport have advised the state government that the reliability of power supply is not, and has not been, an issue at Techport," Mr Koutsantonis said. "I think what Mr Pyne is doing is wasting taxpayer money to try and make a political point. "Recent power outages in South Australia have been caused by an unprecedented series of storms, they have resulted in a three-fold increase in SES callouts, ripped transmission towers from the ground and caused massive damage to the network of poles and wires. "It doesn’t matter what the generation source is, if the power lines connecting generation to homes and businesses are destroyed, the power goes out. "To suggest otherwise is completely disingenuous, as is criticising the use of wind and solar generation in South Australia when it is in fact the federal government that subsidises renewables to operate. "It is also misleading to suggest it is the state government that has to work to restore power after these events - it is private companies that do that work because Mr Pyne’s Liberal party sold ETSA to foreign interests."